Dazzling with set diamond hour markers, this Formula 1 watch by TAG Heuer is a classic timepiece. A white mother of pearl dial holds three soft silver hands moving with precision, and a handy date display is placed at the 3-o-clock position. 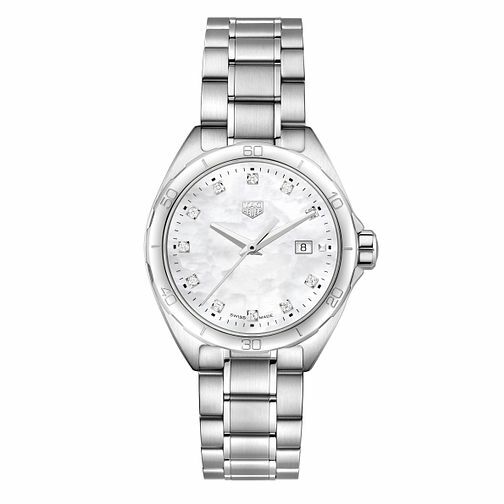 The sturdy stainless steel casing co-ordinates with the timeless silver tone bracelet. This watch is water resistant up to 100 metres.